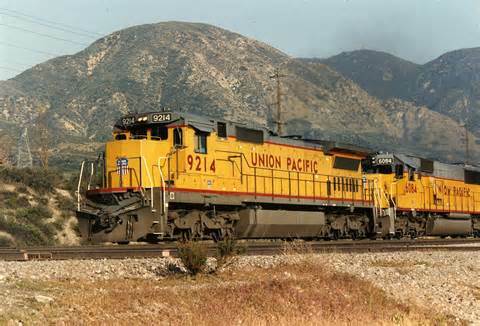 Union Pacific Corp the largest railroad in the U.S. posted sales and profit for the first quarter that missed estimates on Wall Street as the port congestion on the West Coast and slack demand for coal caused the number of carloads to decline. Earnings per share of $1.30 missed the estimate by Wall Street of $1.37 per share. Last month carload weekly data showed more weakness that was expected. Total sales of $5.61 billion were below expectations of $5.72 billion. Shares dropped in early trading. One analyst in the industry, said there was not any secret that the port issues on the West Coast impacted the railroad industry as well as other weakness that took place in the business. Union Pacific and BNSF Railway, which Berkshire Hathaway owns, suffered from the West Coast ports in the U.S. being congested as the movement of cargo slowed during the tense negotiations with port owners and the dockworkers union. Many shippers from Asia used ports in Canada at Prince Rupert and Vancouver or through the Panama Canal to the East coast ports to avoid the possibility of a strike on the West Coast. Even though an agreement was signed in February, the West coast ports continue to work through a backlog of containers and ships. Intermodal containers, which can be handled by truck, rail or ship, accounted for 20% of the overall traffic at Union Pacific last year. Cargo dropped industry wide in the first quarter as utilities used natural gas that was must less expensive instead of coal and the lower production in oil reduced the amount of crude that the railroad hauled. Net income at Union Pacific was 41.15 billion. The railroad’s revenue per each carload was up 1.3%, but shipments dropped by 1.9%, said the railroad in its earnings statement on Thursday. The company raised its prices as a shortage of truck drivers limited overall cargo capacity, giving the rails additional leverage with many shippers. Shares at Union Pacific dropped 2.4% in early Thursday trading.